Check out the featured video that Xbox put together here! The redevelopment is part of the NBA All-Star Weekend program that supports under served communities by revitalizing basketball facilities across the nation. 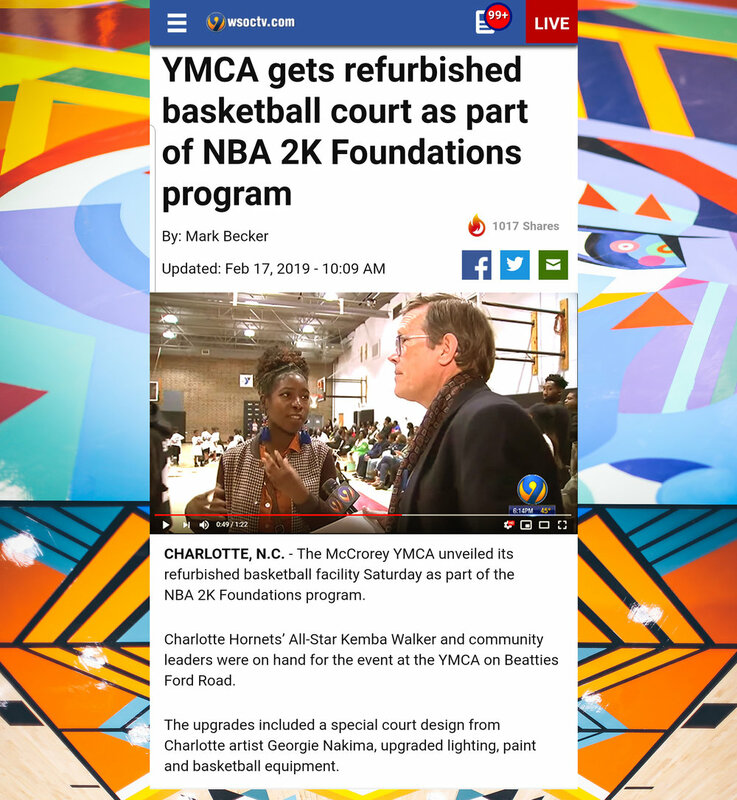 It was so amazing contributing to this venture in collaboration with Xbox, 2K Foundation, Microsoft, and Project Backboard. Learn more about this project here! So grateful for the opportunity to share my creative platform with Ford Motor for the Born to Roll campaign- intentionally designed to celebrate women of color who are creating waves of positivity. View my portion of the commercial at this link! "Currently, in the Charlotte community, Nakima is tapping into public arts. She brands her work as “artivism” (art-activism) and aims to drive social and political consciousness by bringing attention to the importance of diversity." We propelled Black history into the present and future as I sat down with Lexie Paige to hone in on my views on the arts, black history, activism, and the cultural climate here in Charlotte. Read more here! "Artist Georgie "Sevin" Nakima knows that inspiration can take a winding path. After all, she studied chemistry and biology at Winston-Salem State University before becoming a muralist whose collages spiral with geometric and natural patterns that are easy to get lost in. Her work in turn has sparked others to create music, stories, and now ... salad." I made a #meettheartist thing but also meet me in real life at the Harvey B. Gantt Center. February 16th, 6-9pm. RSVP here! During my time at NCSU Plants for Human Health Institute, I was led to create an illustrative description of Brassica plants, researched in my department. Last Spring, I joined iSWOOP (Interpreters and Scientists Working on our Parks) to Bar Harbor, Maine where we investigated the scope of Acadia Park and the carriage roads built under John Rockefeller. My role was the technical illustrator, here are the final results!